If your colourful nasturtiums start to lose their beauty with discoloured patches on the leaves, or have pale coloured leaves, they need your help. During hot weather and especially during summer, nasturtiums can suffer from heat stress. They are very hardy and can tolerate poor soils. BUT if you stick them in a black pot (that absorbs heat) or next to a pale coloured wall or glass (both reflect heat), you may be innocently frying your flowers! Nasturtiums may at times be attacked by aphids or by mildew especially in warm humid conditions. Change the position to a cooler spot in filtered light. Or at the least, a spot where they won’t suffer from scorching hot sun during the worst heat of the day. e.g. move the pot under a tree or semi-shaded position. Alternatively, if your nasturtiums are in a black or terracotta pot and feeling the heat, stick them inside a larger pale coloured pot. This should help provide some insulation. Prune off the dead or affected leaves if you suspect your nasturtiums are sunburned. Recycle the nutrients by using the dead leaves as mulch to help feed the soil. Shedding leaves is evidence the plant may be stressed. If you stand in the same position in the heat of the day, how do you feel? If it’s too hot for you, likely your nasturtium feels the same! You’d probably want to shed your clothes too. Assess your watering practices. Yellow leaves can be a symptom of over- or under-watering. Always water the soil, not the plants. Water on the leaves creates a humid environment which encourages fungal diseases to grow. Use a soil moisture meter if you’re not sure. Keep a record of rainfall, so you don’t water when it’s unnecessary. Add mulch. If you haven’t already, this helps regulate soil temperature and moisture, so you’ll water less often. Foliar spray with seaweed as a quick tonic. This will boost the plant with trace elements fast. Check the leaves for aphids and ladybirds if there are patches of mildew. The white powdery mildew can be caused by aphids secreting a sweet honeydew. Mildew can also be caused by environmental conditions. 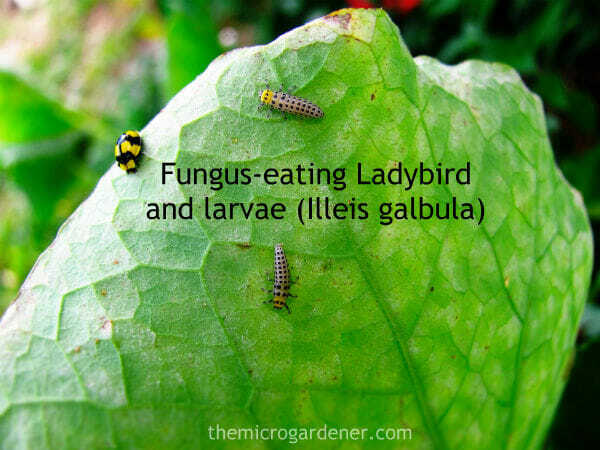 If the black and yellow Fungus Eating Ladybirds (Illeis galbula) are in residence, then leave the leaves alone. Look on and underneath the leaves for their larvae too. These beneficial insects keep fungal diseases under control and you want these helpers in your garden during summer. If they are not present, then cut them off and bin them so the fungal spores don’t spread. Gently prune the leaves off so you don’t squash any happy ladybird families in residence. I usually put the leaves near my bin for a few days so they can continue to feed and hang around in my garden, before I throw the leaves away. Other members of the curcubit family like zucchini, squash, pumpkin and cucumbers may need their assistance with powdery mildew – a common summer problem! If the aphids are in residence but there are no ladybirds to take care of business for you, consider what else you’re growing in your garden. If the aphids are feeding on your nasturtiums but not other edible plants, then maybe you can leave them there as a sacrificial crop. These insects may be ‘pests’ to us but they are ‘dinner’ for ladybirds and many other beneficial insects. When nature’s Pest:Predator food cycles are in balance, you don’t need to worry about pest insects. You just want to know if their predators are in your garden. 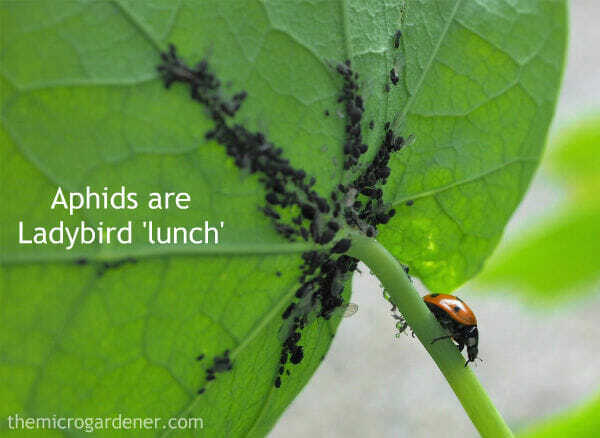 If there were NO aphids, what would the ladybirds eat? They’d probably be visiting your neighbour’s garden! If aphids really are bothering your nasturtiums just hose them off. Simple as that. Three days in a row. Or spray with an eco-oil to suffocate the poor little darlings. Really, in all my years of gardening, I’ve rarely bothered spraying. I just plant diversity, attract beneficial predator insects and let nature do my pest management for me. I encourage you to do the same. CLICK HERE for tips on growing and using nasturtiums. 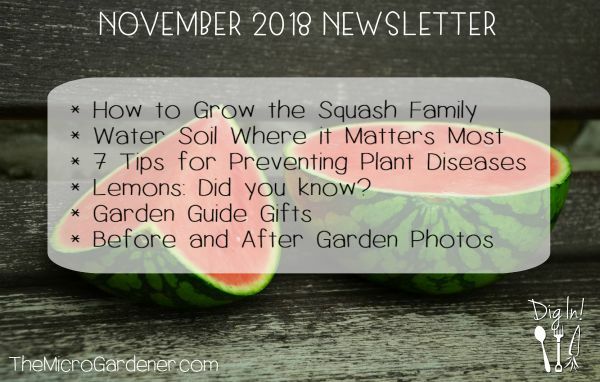 This month I’ve been busy speaking at the Brisbane International Garden Show and to the Dayboro Garden Club and Brisbane Local Food club members. I had the opportunity to check out some great design ideas at the show and at private garden tours. I hope these help inspire you with what you can try. 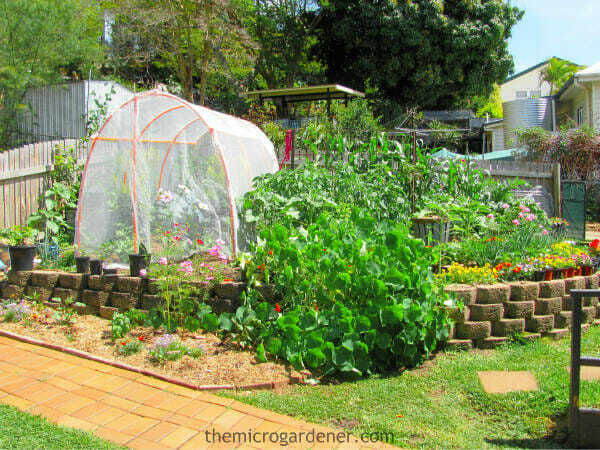 Tiered Garden Beds for Sloping Sites and Pest Management Hoop House: Lynn and Wayne have coped with the slope of their rear suburban garden by building attractive tiered gardens. Staggered planting slows water runoff. To minimise caterpillar damage to leafy greens, they built a simple hoop house with electrical conduit, zip ties and shade cloth fabric. A very economical solution. During summer, they throw shade cloth over the top to prevent heat stress and moisture loss. Protect Fruit Trees: Lynn and Wayne’s young fruit tree garden is edged with recycled palm trunks, after they were cut down. They will take a LONG time to break down, so this is an economical solution! 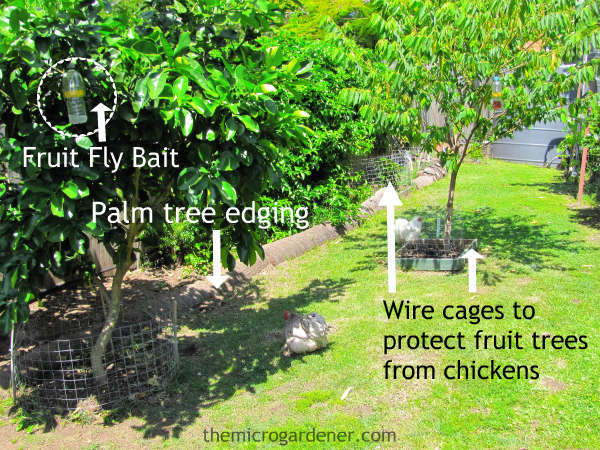 Chickens freely forage in the yard without damaging the fruit tree roots or trunks. Temporary wire mesh cages can be removed once the trees are established. Seasonal fruit fly traps are hung in each tree to minimize damage. Lynn and Wayne let their chickens free range around their 2 year old fruit trees, helping add free fertilizer and providing nutritious eggs. 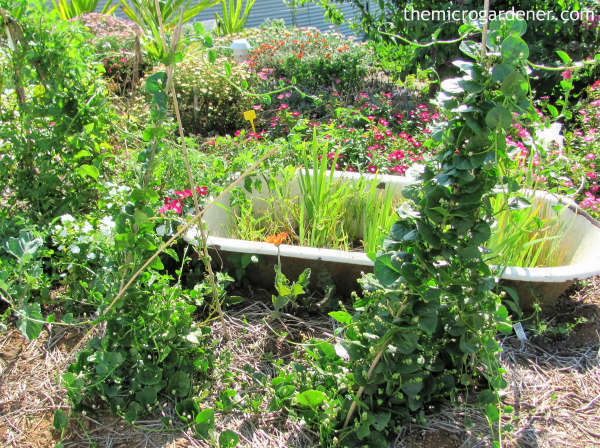 Create a Focal Point: Mary-Ann and Colin repurposed an old bath tub as a feature for moisture-loving plants. Economical, reusable and easy-to-make bamboo tepees provide vertical support for edible climbers like Ceylon spinach. Another way to create a focal point is to create the illusion of plants growing out from pots tipped on their side. Colourful petunias look stunning, but for a more permanent feature, you could plant succulents or perennials. For more design ideas and tips, check out all the Clever Design Ideas articles in my online library. Which of these design ideas do YOU like? Leave your thoughts in the Comments! Try potting up herbs like mints in various flavours, lemon balm, German chamomile, lemon verbena or lemon grass and grow your own tiny Herb Tea Garden. Fresh herbs offer you so many health benefits and they take up such little room. Take a herb tea planter to work and keep it on your desk. Not only can you pick fresh leaves like lemon balm to de-stress from the daily grind, but indoor plants also help improve air quality and have a calming influence. Add some rosemary as this helps your memory. If you’re forgetful, try rubbing the leaves and inhaling the scent. Rosemary has a long history being used in this way and is the herb of Remembrance Day for good reason! The more you harvest your herb leaves, the bushier your plants grow! 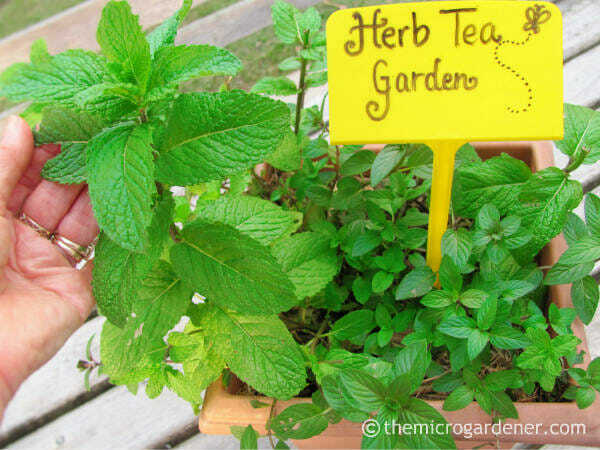 I grow Herb Tea Gardens in containers like this one with common and chocolate mint. 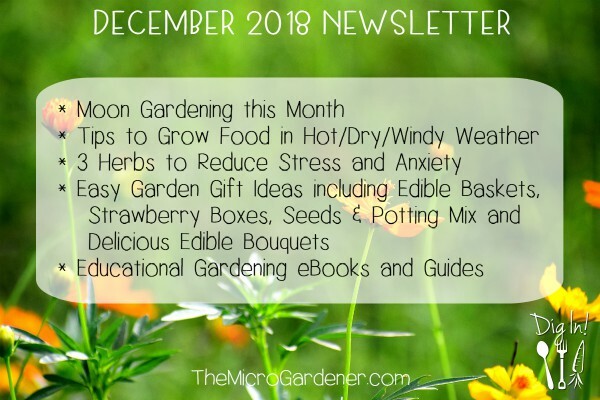 Herb Tea Gifts – Why not start planting up some pretty baskets with herbs now so they will look fabulous for gifts by Christmas time? I love sweetcorn and hate wasting any organic kitchen food scraps. This is how I recycle the nutrients in my corn ‘waste’ into free plant food for my garden. MULCH – Chop the green husks with scissors or a sharp knife. Dry these pieces out in the sun for a few days and use as mulch. 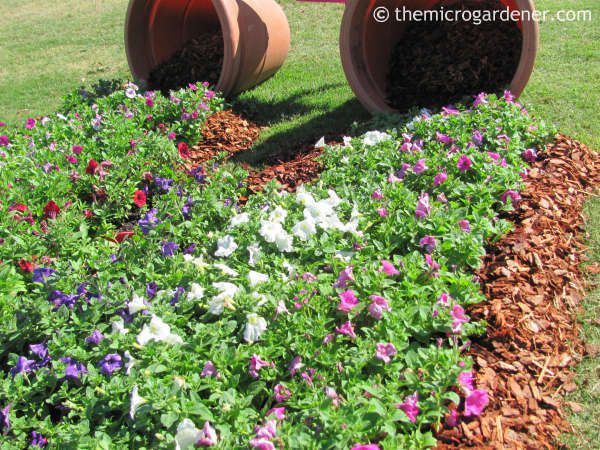 Mulch helps retain moisture and builds a healthy soil. ANIMAL FOOD – Having kept guinea pigs for many years as pets, corn husks is one of their favourite foods. Domestic poultry like chickens and ducks, rabbits, goats and other animals can recycle the nutrients in this green fodder into free manure for your garden. Once dried, I used to sprinkle the guinea pig ‘poo pellets’ around my pots to give them a feed. COMPOST INGREDIENT – Add to your compost system or dig a hole in your soil between plants and bury your green husks and corn cobs to add organic matter, feed your soil and attract worms. WORM FARM FOOD – The worms in my farms are always hungry! They create wonderful rich castings for my plants. 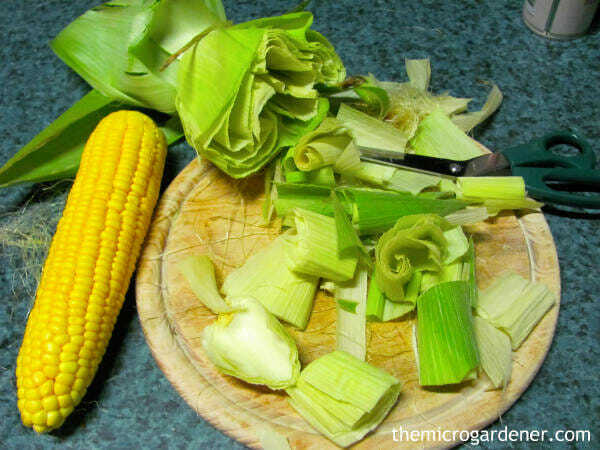 Chop your green husks and corn silk into small pieces and add to your blender. Cover with water and blitz until it’s a slushy paste. Pour into your worm farm with some finely crushed eggshells for a nutritious feed. Without damaging the leaves, gently press down on the bag to remove as much air as possible before sealing. Alternatively, store in an airtight container or wrap well in a damp cloth. Why? If the leaves are in contact with too much oxygen, they use up the natural sugars and antioxidants, so you lose the nutritional benefits. Never store your leafy greens with no wrapping at all. They will lose moisture and go limp in no time. Lettuces, kale and rocket/arugula can be briefly washed to remove soil and then dried in a salad spinner or patted dry before storing. However, before storing spinach, do not wash it! Exposing the leaves to water encourages spoilage. Re-use your plastic bags or airtight containers. 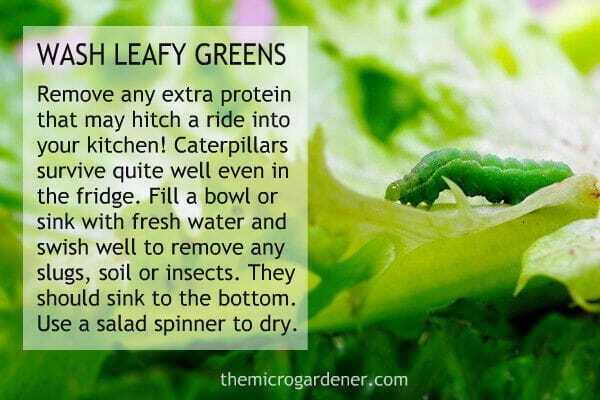 This is sustainable and a great way to save time next time you need to store leafy greens. I’m confident this is the best potting mix recipe you can use for a healthy organic garden. The ingredients I’ve specifically chosen play vital roles including drainage, aeration, water and nutrient retention, plant food, root support, microbes, durability and thermal insulation. 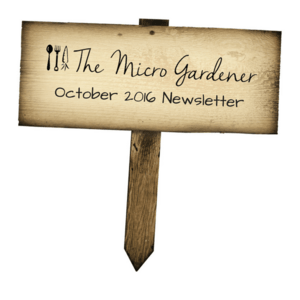 I’ve also included a BONUS with this product – 5 Seed Raising Mix Recipes. 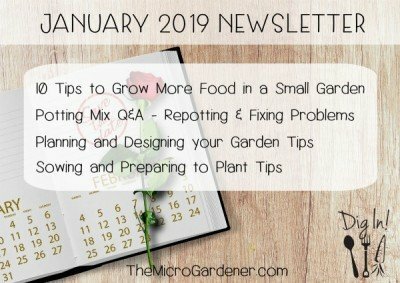 I’ve used these recipe variations with great success for many years and want you to get the best possible outcomes when raising seeds and seedlings too. 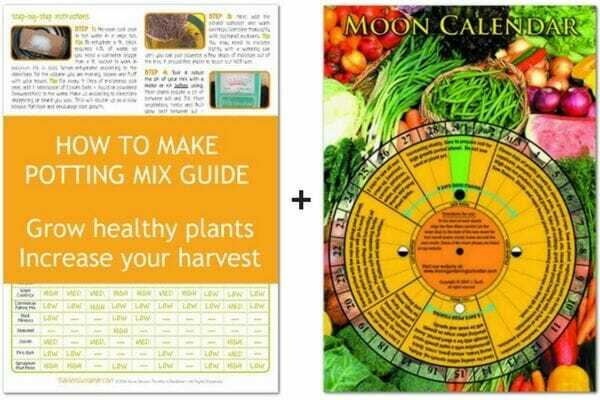 The Moon Gardening Calendar works anywhere in the world to help you work with soil and plant moisture at different times of the month. 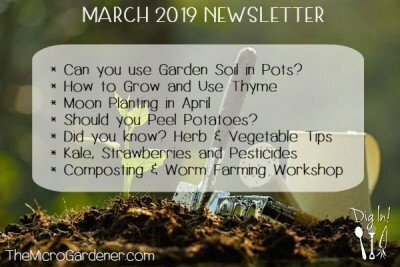 You just follow the moon cycle each month to optimize the timing for planting, fertilising, harvesting and garden maintenance for an abundant harvest. I’d love your support! If you’ve already purchased your Potting Mix Guide, I’d appreciate if you would leave a review. If you’re local, I’d love you to join me at my next event. I’ll be speaking at the Conscious Life Festival and facilitating free planting activities all weekend 12-13 November, 2016. 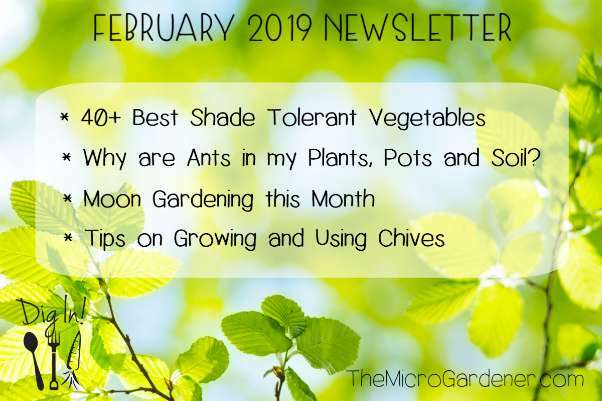 If you haven’t already, I invite you to join over 6,700+ other gardeners in our weekly conversations on The Micro Gardener Facebook page. Remember to please SHARE these tips with your friends and invite them to join my newsletter too. 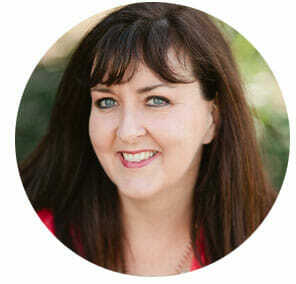 Thanks Anne always interesting and inspiring. Thanks Myrl! You’re welcome. Glad you enjoy the newsletters. Hope you enjoy reading my news. Thanks for sharing what you’re growing Sue. Sounds like you have a lovely garden. We live in the South West of England. Our climate is very temperant due to the Gulf Stream off our coast. We do not have frost as we overlook the coast, and snow is unheard of. We grow sub-tropical plants, bananas, aloes, restios, and a heap more other plants. If you Google: Tresco Isles of Scilly, you will be able to view the amazing plants we are able to grow. Our wildlife is diverse too. Humpback Whales, the occasional Orca, Turtles, Dolphins, Porpoise, Basking Sharks,and very occasionally a Great White Shark. A most beautiful part of the Uk. We have a lovely stepped Mediteranian garden which we built ourselves, with two pools with a waterfall going from one level to the next. I love reading your articles. They apply to us here in the northern hemisphere. We also have a villa in St Lucia, Caribbean. Glorious for us during our winter. You may be interested to view it: Google: Hawks Cry St Lucia. again, glorious plants especially in the rain forest area. We also rent out when we are not there. Nice to share our home with visitors from all over the world.